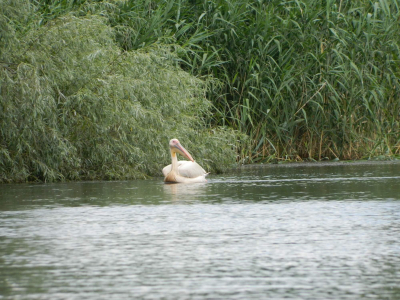 If visiting the Danube Delta is something you would consider doing, then here are some ideas on how to do that! At the end of its 2.860 km journey, collecting the waters of an impressive area of more than 80% of the Old Continent, the Danube meets with the Black Sea to form the second largest and most beautiful deltas in Europe – the Danube Delta. The importance and the grand magnificence of this place is recognized by international organizations like UNESCO, it being listed as World Heritage in 1991. Also, the Danube Delta is protected by the Ramsar Convention on Wetlands as wetlands of international importance. The impressive diversity of habitats and life forms present on a delta’s surface represents a true biodiversity museum, a gene bank of inestimable value for the whole universe. 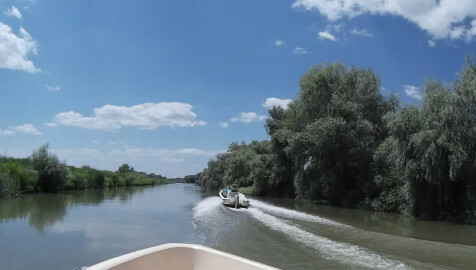 Everyone will definitely find something to see or to do in the area of 100 km length and 100 km width of the Danube Delta. Moreover, a gradual formation of new land takes place, so the delta continues to expand even nowadays! 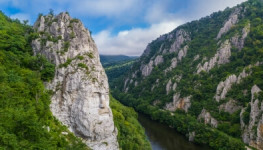 If you are looking to start your adventure of a lifetime in Romania, then you should choose as a starting point the town of Tulcea or Sulina. If you would like to be better prepared in the matter of knowledge about the delta, you could explore the Museum dedicated to the Danube Delta from Tulcea. 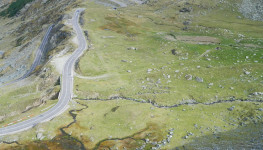 It can tell you a lot about this unique place’s genesis and evolution, as well as about its flora and fauna. The Danube is formed of three main distributaries: Chilia, Sulina and Saint George. Namely Sulina and Saint George create the Tulcea channel, so that’s why you could choose exploring them first. Sulina is the central, the shortest and the straightest branch of the three. This is why here you can see vessels sailing more often than on Chilia or Saint George. The minimal water depth is of 7 meters and the maximal is of 18 meters. Along the Sulina branch there are several localities, famous for their hospitable pensions, fishing activities, and virgin nature: Maliuc, Gorgova, Vulturu, Mila 23. Gorgova marks the middle of the Sulina branch, while Mila 23 is a village that can be reached just on water! This is the ideal place to escape from the busy city life and visit the Museum of Lotca (traditional wooden boats) – an indispensable thing here. 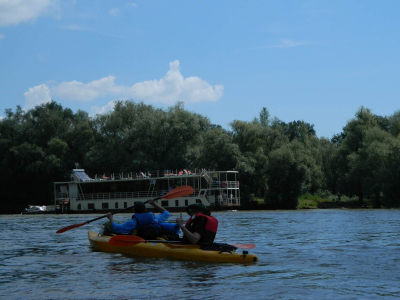 Mila 23 is also one out of those two places where you can windsurf in the Danube Delta. Letea Forest is a popular touristic destination particularly due to its tropical characteristics. Besides this, the Letea Forest is the oldest natural reservation in Romania and was the initial foundation of the Danube Delta Biosphere Reserve. You can admire 500 species of plants in this real monument of nature, among which: Mediterranean creepers, wild vine, hop plant, ivy, white poplar, black poplar, elm tree, silver lime. All these are combined perfectly with secular oak trees. 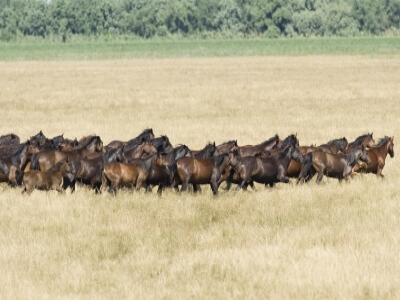 The forest is also known for its herds of wild horses. The landscape will help you forget about the daily routine and generously allow you to benefit from silence! The Letea Forest can be reached by sailing on the Chilia Channel, as well. The north part of the Sulina Channel is dominated by great lakes like Trei Iezere, Matița, Babina, and Merhei, while the south of the branch is covered by the Caraorman Forest, known as the “black forest”. A curious fact is that the forest grows on sand dunes. The Caraorman Forest is a protected area since 2000 and hosts the biggest oak tree in the Danube Delta – it is 500 years old and has 4-meter circumference! Also, it amazes with its exclusive growth of branches, being called by the locals “The Kneeled Oak”. Not far from the Kneeled Oak is “The Hunters’ Fountain”, with ice-cold water all year around and a replica of Costantin Brâncuși’s “Table of Silence”. The end of your journey on the Sulina Channel can be marked by the visit in the city of Sulina – the locality with the lowest altitude in Romania (3,5 meters). Meet the sunset at the Old Lighthouse that offers a breathtaking view over the river mouth. Religion is an important part of Romanians’ life. Thus, do not miss to visit at least several religious places in this country. Being in Sulina, discover the Orthodox Church “Sf. 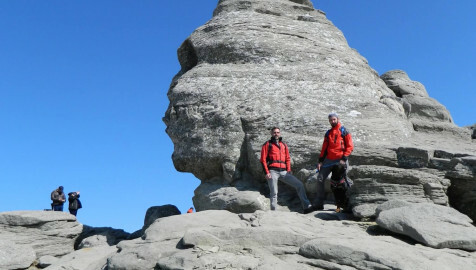 Nicolae & Alexandru”. The Sulina Cemetery is another unique destination, here being buried princes, princesses, along with pirates, Jewish and Muslims. 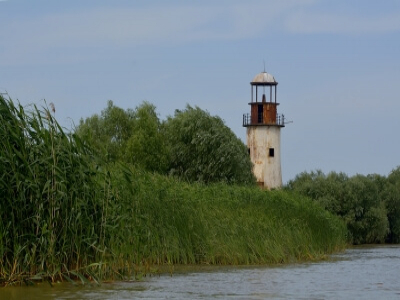 Moving on to the northern branch of the Delta, find out the channel that displays the real Danube Delta, with all its huge areas of cane, water lilies, birds, and fish - the Chilia channel. It carries 60% of Danube’s water and is the youngest channel, being in full process of formation at its mouth. 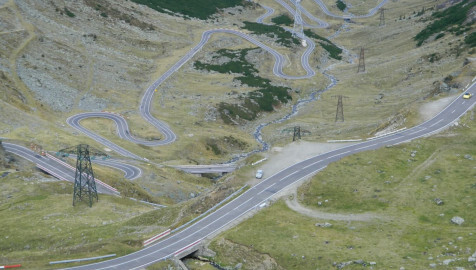 It represents the Romanian-Ukrainian border directly on a portion of 85,8 km. The branch is sailed just by small ships and boats. Today, Chilia Veche is a commune that skillfully hides its tumultuous past. The region is a former Greek colony, earlier named Achillea. 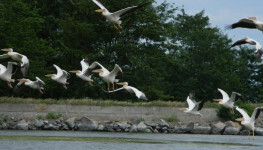 Between Chilia Veche and Peripava, in the area of Roșca Lake, the biggest colony of pelicans from Europe can be observed. Navigating till the end of the Chilia Channel, you can admire the Musura Bay - the bird paradise! So, if you intend to go birdwatching, this is one of the places you should visit. The Chilia Channel is not the only way to the Bay: you can reach it also by the Sulina Channel. The Bay creates the impression that you are in open sea, although in scattered spots tourists can go “walking on water”, meaning the water is so shallow that tourists can get off the boat and take a walk directly in the warm Danubian waters. There are many sand islets in the bay where pelicans and cormorants gather in huge numbers, forming the largest colonies in the Danube Delta. By the way, the delta is the house of very rare and endangered bird species such as the Dalmatian pelican, small cormorants, red-breasted geese, great white pelican, white egret, and the little egret. Next, move on to the longest branch of the Danube - Saint George. In comparison to the other two branches, it is navigated just for local interest. Along the channel there are well-known touristic destinations like Nufăru, Mahmudia, Uzlina, but also Sfântu Gheorghe village. Among the Orthodox churches, here you can see several mosques as well. Murighiol is a popular destination among tourists. The name of this beautiful village means “violet lake”, thanks to the magnificent reflection that the nearby lake has in the evening. The locality is impregnated with Russian-Ukrainian architectural motifs, such as mermaids and rays of the sun, but also motifs representing the activities from the everyday life of the locals. The village can be reached by car as well. The nearby lake is a great place for fishing and birdwatching. The Halmyris stronghold is another important place of interest. Take a break from your trip here and analyze each of those 15 towers. Dunăvățu de Jos is a place ideal for those who want to wander and be one with nature. This old fishermen’s village is a starting point towards Razim Lake and to other channels nearby. By the way, the Danube Delta is the house of the largest freshwater fish from Romania – the catfish. The fish can reach 5 meters in length and weigh over 400 kg. At the river mouth, the Saint George Channel forms the Sacalin Island – an ecological reserve where no settlement is permitted. The Island is an important nesting place for 14 species of birds, including swans, and is the house of the largest colony of sandwich terns within the reservation. Also, the island is a migration place for about 100 species. In the waters surrounding the Sacalin there are rare types of fish, like sturgeon, but also rare plants such as sea cabbage. 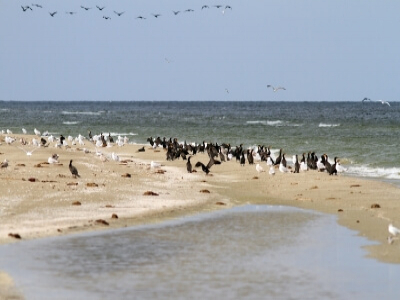 Saint George Gulf is a heaven for migratory birds from Mongolian, Arctic and Siberian regions, that come in summer in the delta for nesting and hatching. Also, the meeting point between the Saint George Channel and the Black Sea is one of the best places for fishing. After visiting the Danube Delta, we could argue that each of you will absolutely have the impression that, while crossing those ten countries it passes through, the Danube has gathered all the beauty of these places namely at its mouth, at the Black Sea, in Romania! Are you sure you want to miss this daydream? 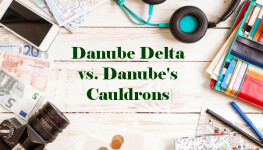 What's the difference between The Danube Delta and The Danube's Cauldrons/Gorges? Which one to choose? If discovering the nearest mountain region to Bucharest is what you intend, then visiting the Bucegi Mountains may be the best thing for you! After a long road through 10 countries and 4 capitals, the Danube forms the Danube Delta before entering the Black Sea. 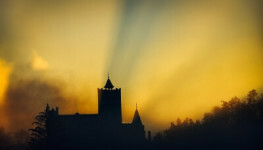 This tour is all about discovering this enchanting world.